“The only negotiated solution between Israelis and Palestinians must lead to a stable and lasting peace, and guarantee the peaceful coexistence of two States,” stated the Holy See in a press release published on Sunday, December 10, 2017. The statement concerns the status of Israel and the peace process in the Holy Land between Israelis and Palestinians, following US President Donald Trump’s decision, announced on December 5, to move the United States Embassy in Israel from Tel Aviv to Jerusalem, without specifying “West Jerusalem,” which has unleashed violence in the region, where the majority of Catholics are Palestinians. The US President based his decision on a law voted in 1995 and an electoral campaign promise. 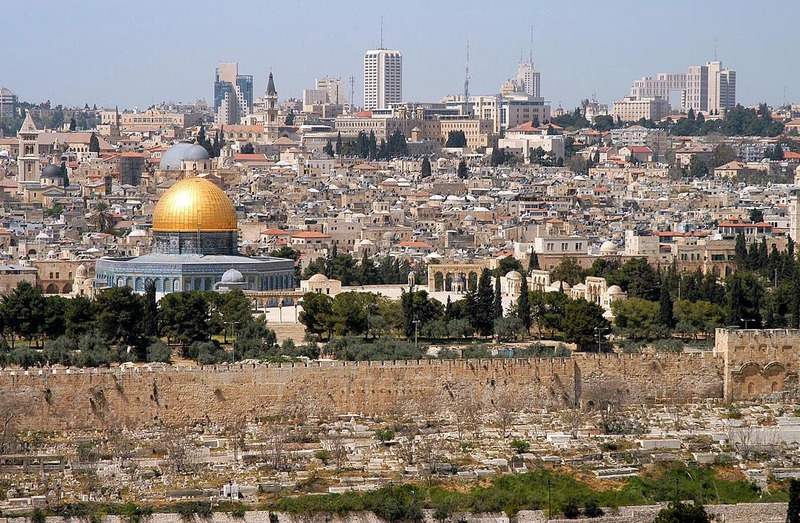 In the opinion of many, his decision is a declaration of Jerusalem as exclusive capital of Israel. Pope Francis appealed emphatically for “respect of the status quo of Jerusalem, “ during the General Audience of December 6, 2017. He expressed the desire that “wisdom and prudence” prevail, so as not to add “new elements of tension,” following President Trump’s decision. “My thoughts are now in Jerusalem,” he said at the end of the General Audience in the Vatican’s Paul VI Hall. “In this sense, I cannot hide my deep concern over the situation that has been created these last days and, at the same time, direct my appeal so that the commitment of all is to respect the status quo of the city, in keeping with the pertinent resolutions of the United Nations,” he exhorted. “Jerusalem is a unique city, sacred to Jews, Christians and Muslims, who venerate in it the Holy Sites of their respective religions, and it has a special vocation of peace,” continued the Pontiff. The Holy See follows with great attention the developments of the situation in the Middle East, with special reference to Jerusalem, a sacred city for Christians, Jews and Muslims from all over the world. In expressing his sorrow for the clashes in recent days that have produced victims, the Holy Father renews his appeal for the wisdom and prudence of everyone, and raises fervent prayers so that the leaders of nations, in this time of special gravity, commit themselves to avert a new spiral of violence, responding with words and deeds to the desires of peace, justice and security for the populations of that battered land. Concerns about the prospectives for peace in the region are the object in these days of various initiatives, among them meetings called urgently by the Arab League and the Organization for Islamic Cooperation. The Holy See is attentive to these concerns, and recalling the heartfelt words of Pope Francis, reiterates its well-known position concerning the singular character of the Holy City and the essential need for respecting the status quo, in conformity with the deliberations of the international community and the repeated requests of the hierarchies of the Churches and Christian communities of the Holy Land. At the same time the Holy See reiterates its own conviction that only a negotiated solution between Israelis and Palestinians can bring a stable and lasting peace, and guarantee the peaceful co-existence of two states within internationally recognized borders.